©Neil Turner, October 2014. Hengistbury Head, Dorset. Anybody who knows me or my work would put wildlife and nature photography somewhere near the bottom of my interests. We were out as a family at the weekend having a drink and a snack at a cafe when a table of people enjoying an all-day breakfast behind us got up and left without clearing their plates. 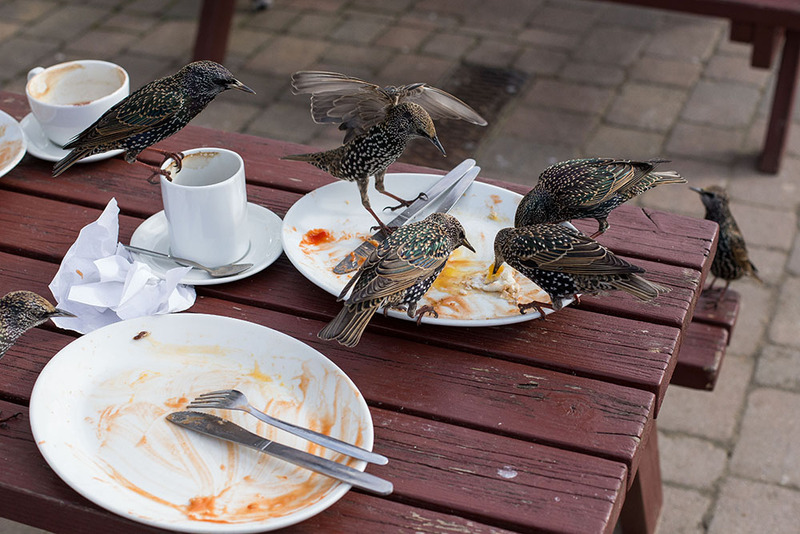 A mass of starlings descended and grabbed anything edible off of the plates. All I had to do was turn around and grab a few frames! Canon EOS6D with Canon EF 50mm f1.4 lens.